Response from Charles Tyrwhitt: Here at Charles Tyrwhitt we understand the importance of a correct fit, and I am sorry to hear that your recent purchase was not quite to your taste. I can see from your account that you have returned your items to us for a refund; we do offer a handy sizing and measurement guide for our shirts on our website, should you wish to shop with us again and find the perfect new shirt for your wardrobe. I have tried everything possible to Iron this shirt, even it put back on a hanger after ironing, the chest, back and sleeves crease. I have ironed 1 shirt three times and after 10 mins of wear it looks like it I have screwed it up. All three shirts on my order are the same. Response from Charles Tyrwhitt: We would love it if you were 100% happy with every product you ordered. We always want to provide our customers with the best possible product so I'm sorry we have disappointed you this time. 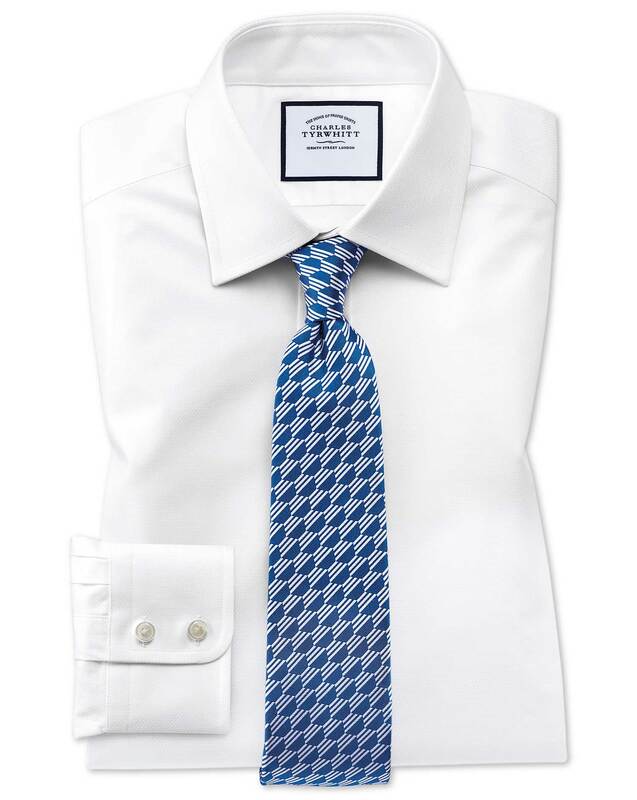 I can see you ordered the Classic fit Egyptian cotton trellis weave white shirt, this is a very delicate shirt. I would recommend taking the opportunity to send this back to us for an exchange for one of our Non Iron shirts or refund. Good Product but wrong size, I have returned. Excellent quality and fit - as usual.